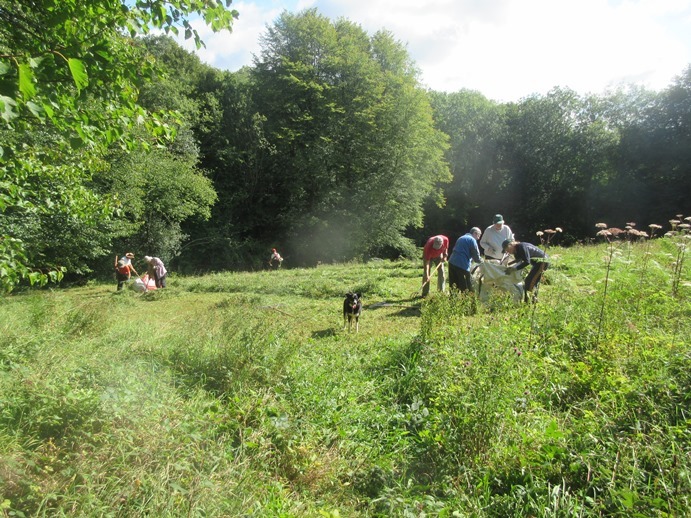 This was an unexpected call out from our GWT ranger to help him remove the hay from the wildflower meadows at Ridley Bottom. The hay is not cut until the majority of the wildflowers have seeded and is left on the ground so that the seeds can disperse. Unfortunately, this included a period of very heavy rain so the hay was no longer of any use as fodder for animals. Also, the site access is too narrow for a traditional baler but we did manage to get a trailer in to remove the hay. Quite a few of us appreciated the lovely sunny summer's day out in the meadow! 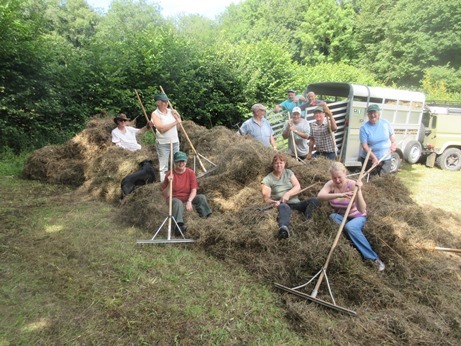 The team relaxing before loading the last of the hay in the trailer. Large tarpaulins were ideal for moving the hay from the field nearer to the trailer. 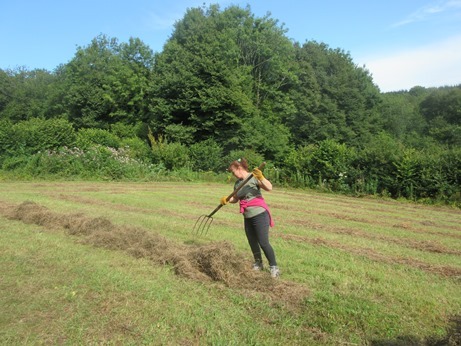 One of our members collecting up the strips of hay. 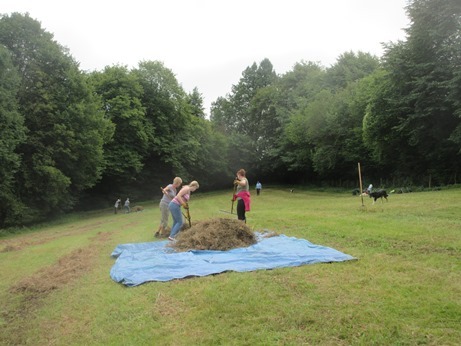 1 September 2015 - the little field at the bottom of the reserve was the final one to be cut and raked. 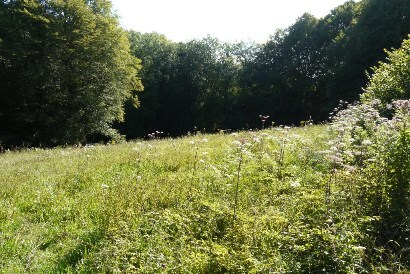 On the left is the wild flower meadow before cutting. 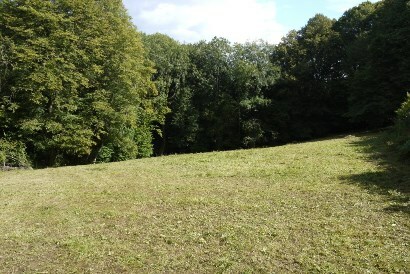 On the right is the same meadow fully cut and cleared.